SEVIERVILLE, TENNESSEE - Wednesday afternoon the Southern League announced its Postseason All-Stars for the 2018 regular season. 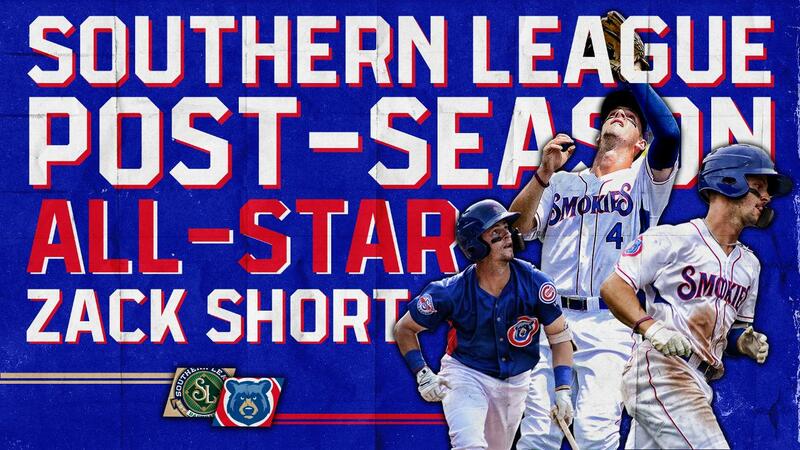 Among the honorees was Tennessee Smokies infielder, Zack Short. Zack Short joins the Postseason All-Star Team after an impressive season with the club. The 23 year-old has appeared in 119 games leading into Thursday night's matchup against the Blue Wahoos with 119 hits. Zack Short has also shown a streak of power with 17 home runs on the year, good enough to be tied for 8th in the Southern League in the home run category. In Short's 119 appearances this season, he has accumulated a .229 batting average (96-419) with 67 runs scored, 26 doubles, two triples, 17 home runs, 58 RBI's and 77 walks. Through Tuesday, the Postseason All-Star ranks second in the league in drawing walks, and is tied for 7th in the doubles category. The Kingston, New York native has also showcased his skills at the shortstop position over the course of the 2018 season with a .962 fielding percentage, and has assisted in turning 73 double plays. Short was Selected by the Chicago Cubs in the 17th round of the 2016 Draft out of Sacred Heart University. 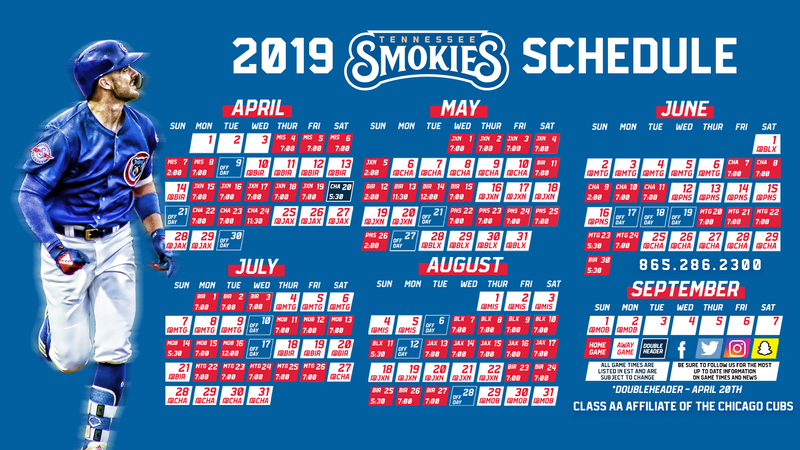 The Smokies will begin their final series of the 2018 season against the Pensacola Blue Wahoos on Thursday, August 30. First pitch is set for 7:00 p.m. ET from Smokies Stadium.